Nova-check is back and it’s here with a vengeance. 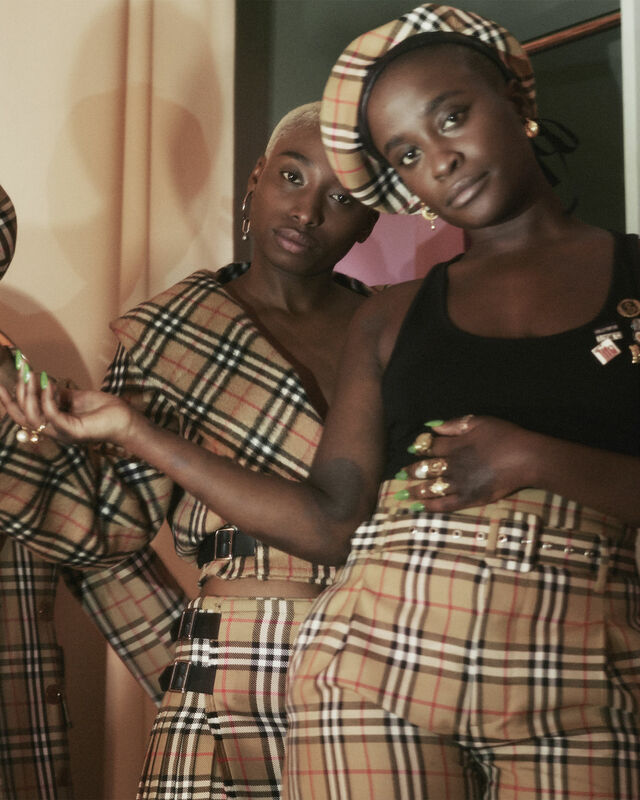 Few designers have shaped the UK’s fashion identity like Burberry and Vivienne Westwood. The former pioneered the trench coat and birthed the nova-check print that swept the nation like none before it, the latter made her mark with her unparalleled eccentricity, quirky take on ‘punk’ and reinvention of the high-heel. And now, the two beacons of Britishness have joined forces for a suitably statement collection in support of anti-climate change charity, Cool Earth. 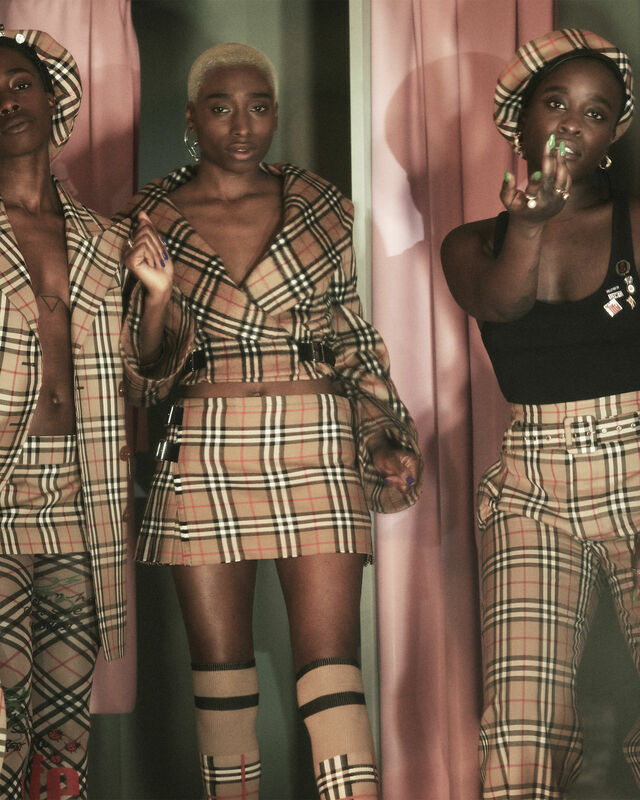 Unapologetically British and drenched in nova-check, the collection marks Riccardo Tisci’s first collaboration with another designer since he was appointed Chief Creative Officer of Burberry. 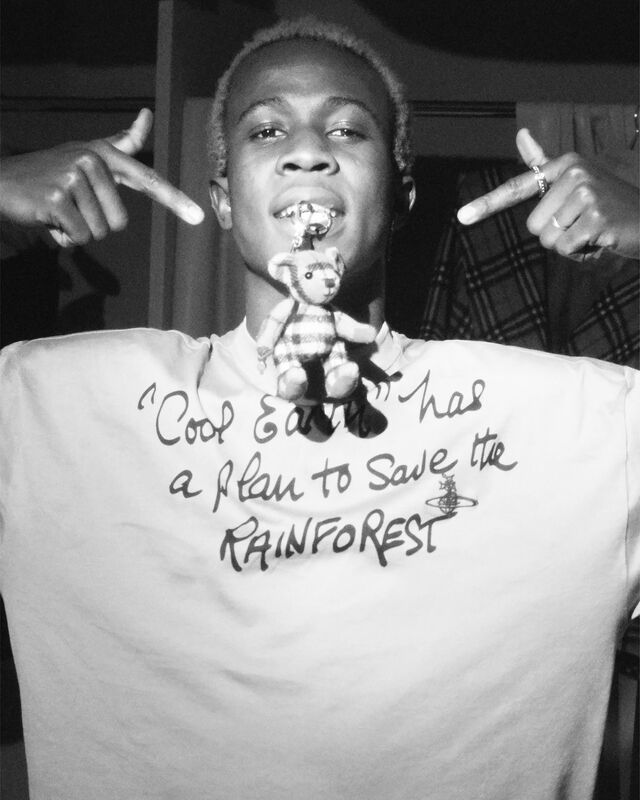 The ’90s CSM alumnus expressed his long-standing awe and admiration at his role model turned creative partner, saying “she is a rebel, a punk and unrivalled in her unique representation of British style, which has inspired so many of us. 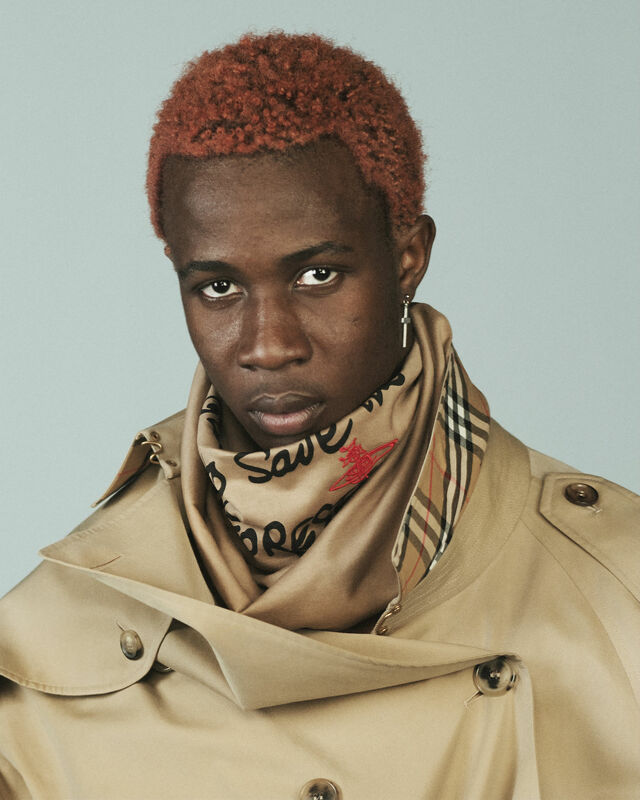 I am so incredibly proud of what we will be creating together.” And what they have created is the perfect balance of Burberry’s sophistication with Westwood’s edge. 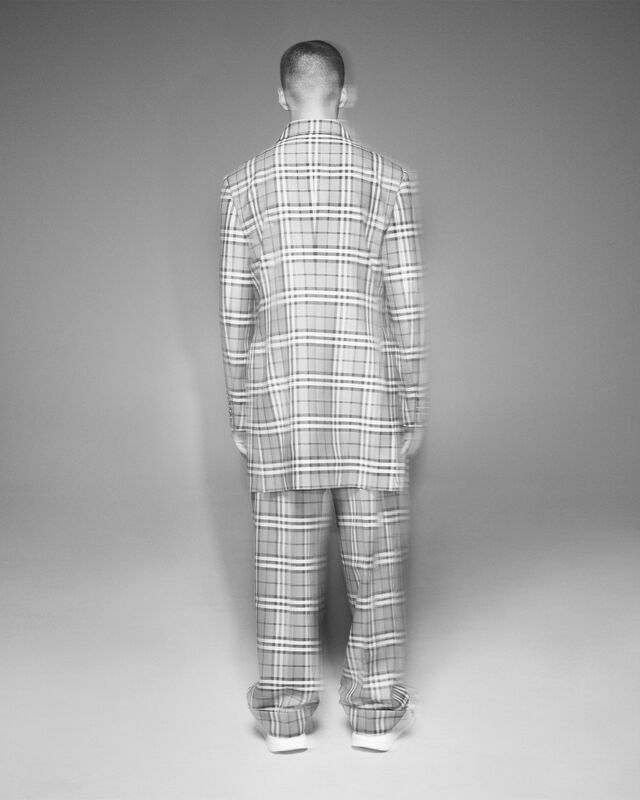 Tailored to meet modern demand, the collection offers unisex garments and spans ready-to-wear, accessories and check-printed re-imaginings of past Vivienne Westwood creations. Think double-breasted jackets, chunky shoes and her much-loved mini-kilt – now clad in vintage Burberry check. British treasure Kate Moss, who donned the original mini in 1994, has made a cameo appearance in the campaign. The photos, shot by David Sims, feature a diverse cast of personalities; from radio-broadcasting trio Sistren to eccentric performer Ladyfag, reinforcing that these clothes can be worn by anyone and everyone. And the collection is a fashion statement in every sense of the phrase. 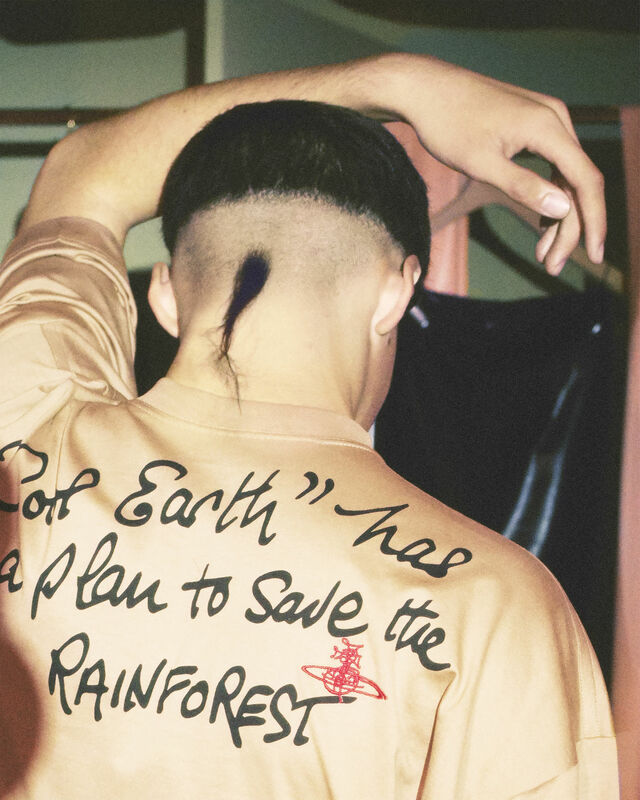 An oversized tee with a slogan scrawled in Vivienne Westwood’s handwriting reads ‘Cool Earth has a plan to save the RAINFOREST’. Cool Earth is a non-profit organisation set on saving the rainforests by bringing an end to deforestation and climate change. In addition to the promotional t-shirt, there will be an accompanying auction selling off four exclusive designs courtesy of Queen Westwood. Profits will go towards Cool Earth’s mission.